The efficacy of chemotherapy is mostly restricted by the drug resistance developed during the course of cancer treatment. Mitophagy, as a pro-survival mechanism, crucially maintains mitochondrial homeostasis and it is one of the mechanisms that cancer cells adopt for their progression. On the other hand, mitochondrial apoptosis, a precisely regulated form of cell death, acts as a tumor-suppressive mechanism by targeting cancer cells. Mitochondrial lipids, such as cardiolipin, ceramide, and sphingosine-1-phosphate, act as a mitophageal signal for the clearance of damaged mitochondria by interacting with mitophagic machinery as well as activate mitochondrial apoptosis via the release of cytochrome c into the cytoplasm. In the recent time, the lipid-mediated lethal mitophagy has also been used as an alternative approach to abolish the survival role of lipid in cancer. 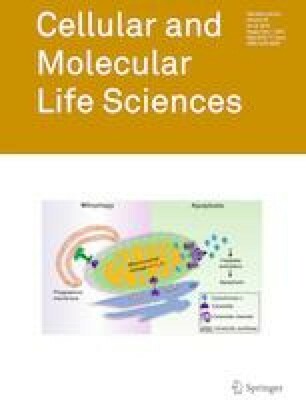 Therefore, by targeting mitochondrial lipids in cancer cells, the detailed mechanism linked to drug resistance can be unraveled. In this review, we precisely discuss the current knowledge about the multifaceted role of mitochondrial lipid in regulating mitophagy and mitochondrial apoptosis and its application in effective cancer therapy. Research support was partly provided by Department of Biotechnology (Grant number BT/PR7791/BRB/10/1187/2013); Science and Technology Department, Government of Odisha; the Board of Research in Nuclear Sciences (BRNS) (number 37(1)/14/38/2016-BRNS/37276), Department of Atomic Energy (DAE); Science and Engineering Research Board (SERB) (number EMR/2016/001246), Department of Science and Technology.